Former prime minister Atal Bihari Vajpayee, who died on Thursday, was admired and respected across the political spectrum. Congress leader Rajiv Gandhi, who was known to take on BJP leaders sharply in parliament, made an exception for Atal Bihari Vajpayee, to whom he was always courteous. Their rapport was exemplary and serves as an example of bonding beyond political differences, something that is rare in today's politics, many believe. Mr Vajpayee revealed how Rajiv Gandhi, as prime minister, helped him go to the US for kidney treatment. An account is given in the book "The Untold Vajpayee: Politician and Paradox" by Ullekh NP. On learning of his ailment, Rajiv Gandhi called Atal Bihari Vajpayee to his office. 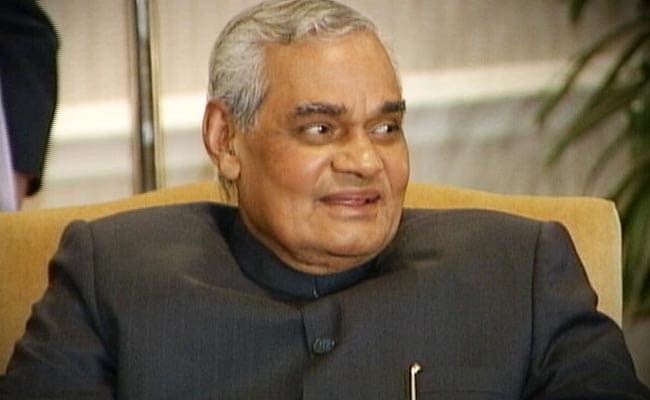 The book quotes Atal Bihari Vajpayee as saying: "When Rajiv Gandhi was the Prime Minister, he somehow found out I had a kidney problem and need treatment abroad. One day he called me to his office and said he was going to include me in India's delegation to the UN and hoped I would use the opportunity to get the treatment I needed. I went to New York and that is one reason I am alive today". Rajiv Gandhi, who was prime minister of India from 1984 to 1989, reportedly said he had told his officials that the BJP leader should return only when his treatment was complete. Atal Bihari Vajpayee was then leader of opposition. Atal Bihari Vajpayee shared the story with senior journalist Karan Thapar after Rajiv Gandhi's assassination in 1991 by a female suicide bomber. He said despite being his opponent, he could not speak like one and only wanted to "talk about what he did for me".